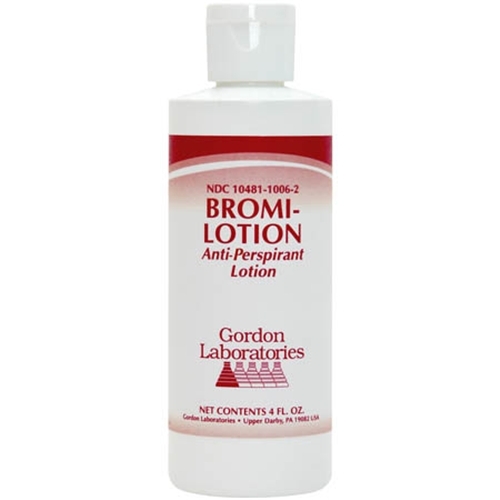 Bromi Anti-perspirant Lotion for Foot Odor 4 oz. Anti-perspirant lotion for excessive perspiration and foot odor. Contains: Aluminum Hydroxychloride in a soothing lotion base. Directions for use: Massage a small amount into areas where needed, once or twice daily or as prescribed by a physician.